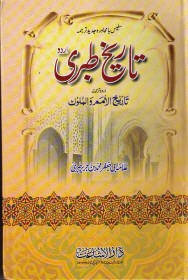 Tareekh-e-Tabri is an Islamic history book which was written by Allama Abi Jafar Muhammad bin Jareer Al-Tabri. History of al-Tabri is one of the world most trusted and authoritative sources to the Islamic history. A comprehensive encyclopedia on the world history from the creation of the planet to the last Caliph of Islam. This book was completed in 12 years. A complete set of 7 volumes in Urdu language of this book is hereby posted for the promotion of Islamic education and information. You can download complete seven volumes of this book from the below mentioned link in pdf format to read offline. Thanks for this error reporting. Admin has been updated download link to Tareekh e Tabari Volume 3.